New York. 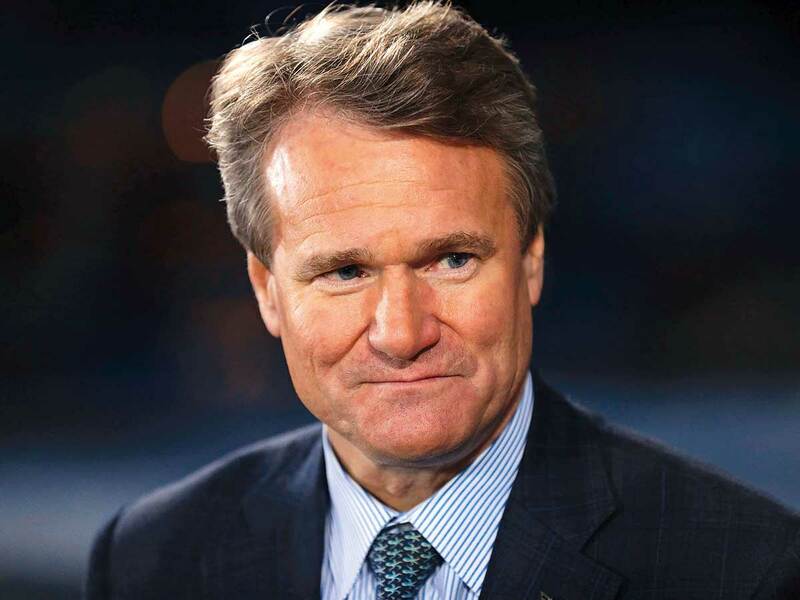 Bank of America Corp awarded Chief Executive Officer Brian Moynihan a record $26.5 million for 2018, a 15 per cent increase from a year earlier. Moynihan, 59, received $25 million in stock grants and a $1.5 million salary, the bank said in a filing on Friday. While he hasn’t received a cash bonus since 2007, part of his stock award will settle in cash when it vests. Net income at the second-largest US lender surged 54 per cent last year to a record $28.1 billion, helped by gains in the consumer-banking division. Shares of the Charlotte, North Carolina-based firm slumped 17 per cent in 2018, outpacing the 20 per cent decline for the 24-company KBW Bank Index. JPMorgan Chase & Co. CEO Jamie Dimon got $31 million for last year, the biggest compensation package he has received since before the 2008 financial crisis, while Morgan Stanley increased James Gorman’s compensation 7.4 per cent to $29 million, the most since he became CEO in 2010. Goldman Sachs Group Inc’s David Solomon, who succeeded Lloyd Blankfein as CEO in October, got $23 million.